This book is a revelation of the deception that is being perpetrated within the church. It is a call for all leaders to come to the altar and give God their whole heart in ministry. We must lay our titles and positions down so that we can become sensitive to the move of the Holy Spirit. This book is a guideline for repentance and correction in ministry. 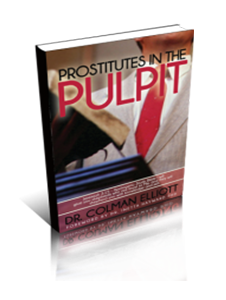 This book is exposing the works of the flesh and prompting the men and women of God for accountability. I trust that righteous choices are made after reading this book, allowing wisdom to do her perfect work in you.